If you need to waterproof it, we have all the waterproofing, sealants, silicones, and membrane products that you need. 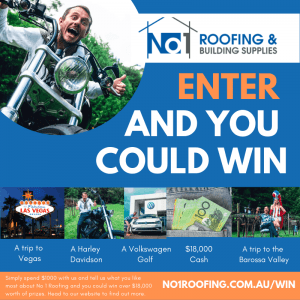 No 1 Building & Roofing Supplies are the preferred waterproofing and sealing product suppliers for all members of the public in Sydney, Central Coast, Western Sydney, and the Northern Beaches. We also carry all of your building supplies including one of Sydney’s largest supplies of fasteners and fixings for almost any job. We also are concrete and building block suppliers and we can supply you with masonry supplies for just about any job — from the smallest shed to the largest factory.